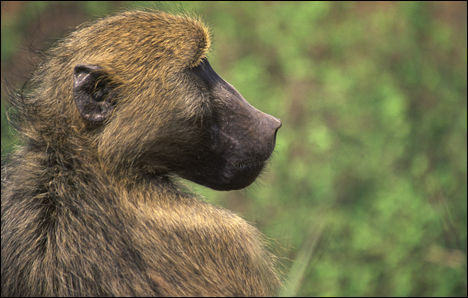 Ron and Maggie Tear Photography: Chacma Baboon. This lone male was observing thelandscape beside the Victoria Falls Zambia. Managed this one portrait image before he dissapeared back to the pack.